Emir of Kano, His Eminence, Alhaji Muhammadu Sanusi II wants government at levels to regulate child bearing. The idea of having government regulate the number of children citizens can produce might just be getting close to being reality. 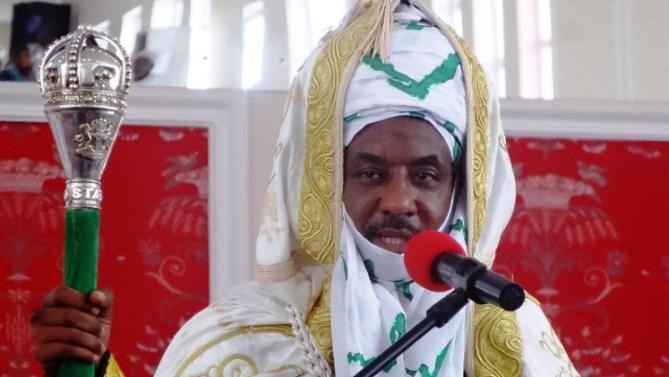 This is because the Emir of Kano, His Eminence, Alhaji Muhammadu Sanusi II, has supported the idea and this might encourage other influential traditional and religious leaders to also speak up. The Emir wants government at all levels to regulate child bearing, particularly in the northern part of the country to reduce the alarming rate of children out of schools in the region. The Emir stated this at the 6th convocation of the Nile University of Nigeria, Abuja. For him, the major reason parents are unable to send their children to school is that they have too many children to care for. “They kept on blaming people for letting their children to walk on the street without having education. “In fact the parents have responsibilities. The greatest responsibility is that parent should all try not to produce children that they cannot cater for. “If they don’t have enough money, they should not go and marry three wives or more in order to produce twenty or more children. We should try to regulate that aspect of child bearing in our areas, if this must stop. If more prominent Nigerians continue to throw their weight behind this, then Nigerians can as well get ready. The minister of finance, Zainab Ahmed, had suggested few days earlier that government was planning to use religious and traditional leaders to preach against unlimited child bearing which has contributed to the population crisis in the country.